I recently noticed that Nordstrom has debuted a new line of all things monogrammed. These would all make great gifts for a special lady in your life. I gave a similar one of these to my Maid of Honor after she hosted my gorgeous bridal shower. These are an especially thoughtful wedding gift to a new bride! This comes in 12 different color options! 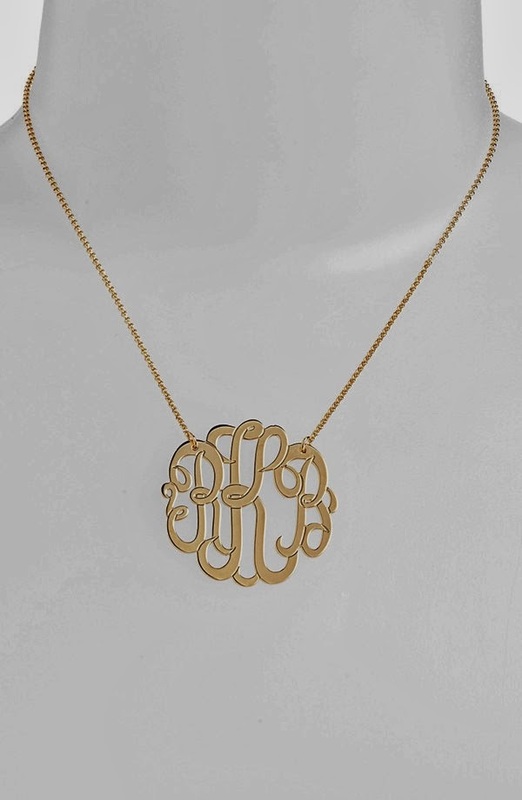 I had a silver necklace with my old initials but lately I only wear gold so I would like to get a new one soon! Especially since I went from LBA to LPA! I got a necklace with my married monogram from Etsy shortly after our wedding and it's one of my favorite pieces of jewelry! I will definitely be gifting these to married friends in the future. 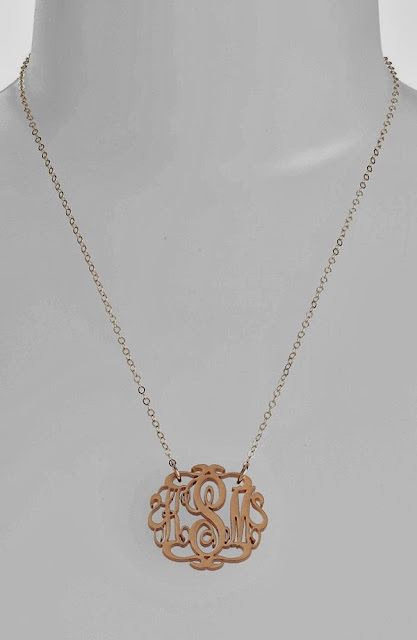 I also got an Etsy monogrammed necklace with my new married initials and it's so special to me! There's nothing a new bride loves more than seeing her new initials on display! This went directly to my wishlist!! I love it! I really like those bracelets. West Elm has a lot of new monogrammed stuff too...stupid shopping freeze! I didn't know Nordstrom was doing monogramming, I love the necklaces!! I've got an acrylic one already but I've been craving a gold version! 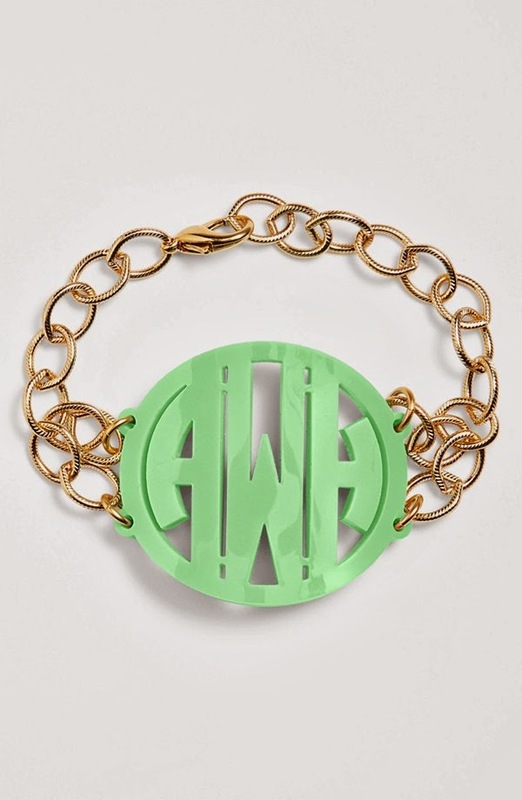 You had me at monogram. 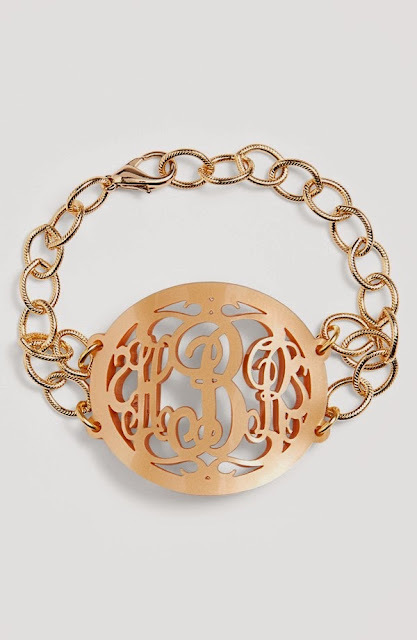 I have a gold necklace with my initials and wear it all the time. Would make a great wedding gift! I love these necklaces, I really need to get one I've been eyeing them forever! Gracias la mejor amiga... (if that even makes sense?!) Anywhoodles... My Mom is planning to gift my sissy one with her new initials because she likes mine so much (so do I!) and now I have a link for her. Boom! So.... Gracias <-- said with a Barcelona lisp. I want one of these necklaces so bad! So pretty! 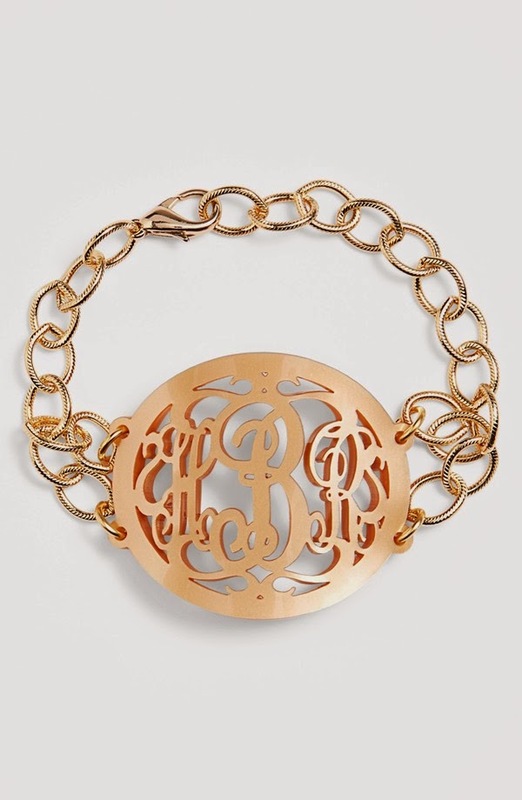 Love the monogram and love the gold!!! These are beautiful!